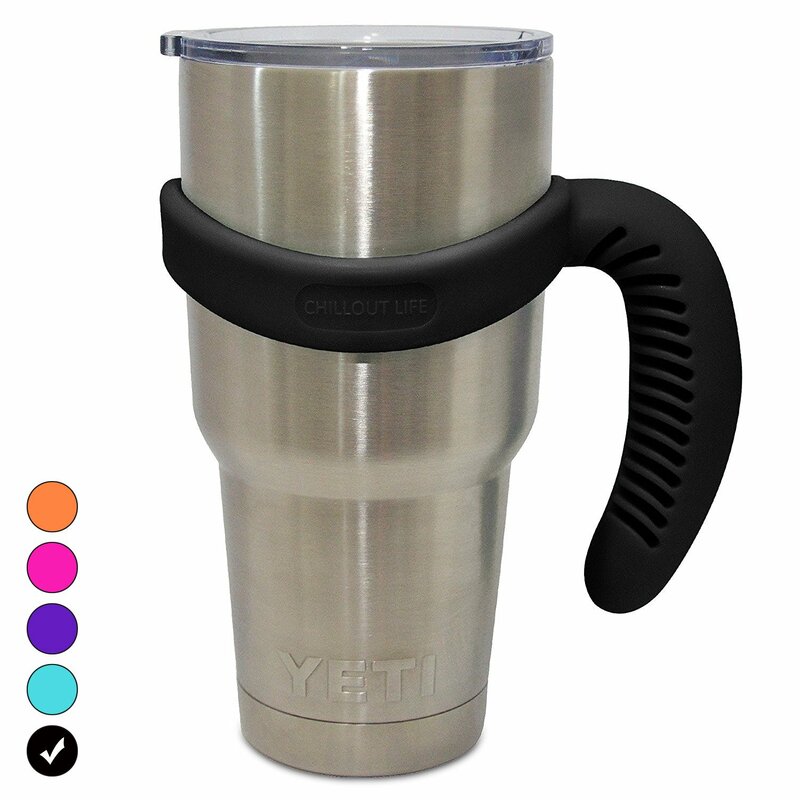 Home › Home and Kitchen › Handle For Yeti Cup 30 Oz Ozark Trail Rtic And Other 30 Oz Tumblers. Chillout.. Handle For Yeti Cup 30 Oz Ozark Trail Rtic And Other 30 Oz Tumblers. Chillout.. PREMIUM QUALITY - light, sturdy and strong handle, comfortable grip that does not slip. ECO FRIENDLY - All of the materials we use are FDA approved and BPA FREE. Color: Black Comfortable black handle for 30 oz tumbler - Finally your favorite stainlesssteel cup can actually fit in your hand! PRODUCT FEATURES Handle for Ozark Trail 30 Oz / YETI Tumbler handle 30 Oz / RTIC handle 30 Oz / ChillOut Life handle 30 Oz, also fits SIC 30 Oz, ICONIQ 30 Oz and others 30 Oz tumblers. Made of high quality food gradable material & BPA Free handle Stable & doesn't fall off Light weight & not abrasive to the tumbler Comfortable grip that does not slip Fit in most car cup-holders Can be washed if needed Fit like a glove 100% MONEY BACK LIFETIME GUARANTEE - You have no risk whatsoever when you purchasing this product. If you are not completely satisfied with our 30 oz. tumbler handle, simplyreturn it for a full refund - you have nothing to lose!